WOMEN POWER: Women take a break from hard farm work amidst a backdrop of Accham's scenic mountains. 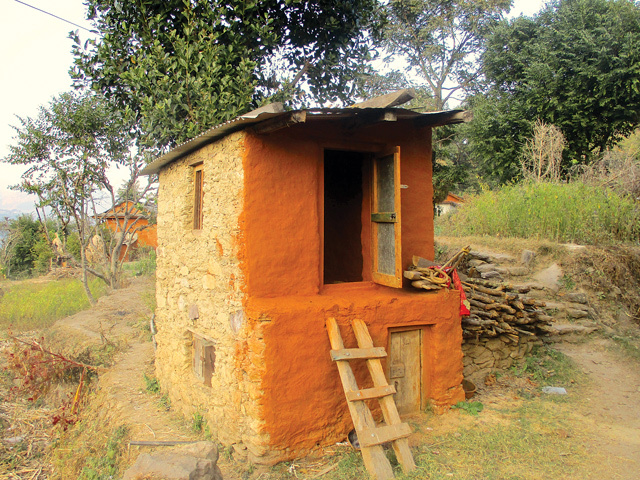 Pulling the dhoti up to her ankle, Dambara Regmi, 24, used to clamber up to a mud room atop the cowshed. In the tiny, dark claustrophobic room, her sister-in-law and a young neighbour, also menstruating, would each chose a corner to sleep in. 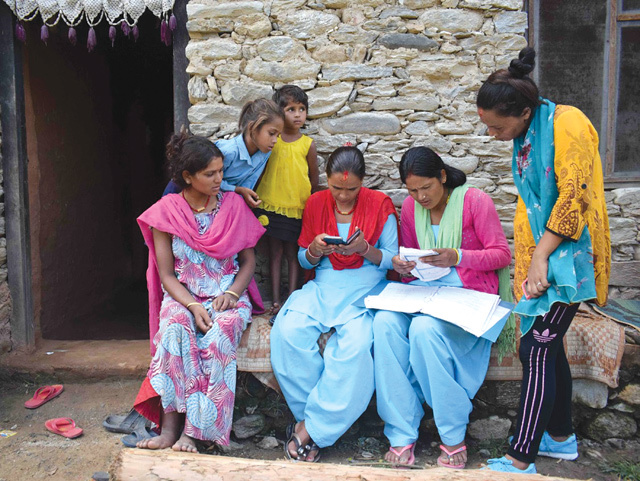 Now a community health worker in this district in western Nepal, Regmi talks to a group of 15 women who have come together for a session of antenatal care counseling. “What do you like the most about menstruating?” she asks. A ripple of giggles goes around. “There is nothing good about it,” they reply. Pregnant mothers take part in the Group Antenatal Care session. Indeed, it is the women who adhere to traditional belief in the cruel tradition of chaupadi which evicts women once a month for four days to a cold, dank outhouse. Many here believe that a woman is deemed impure during menstruation, and if she defiles the kitchen or touches sacred objects in the house, it will invite god’s wrath, livestock will die and crops will wilt. A tiny cell outside the home is allocated for women with periods, and sometimes the room has to accommodate up to a dozen people. On the fourth day, the women bathe and are finally allowed to enter the house again. The government has put up billboards along the highways of western Nepal highlighting the dangers of chaupadi, ranging from wild animal attacks to burglars and worse. In the past few weeks two young women have lost their lives while staying inside sheds in Achham. It is clear that despite the ban on chaupadi, society has a long way to go in eradicating a deeply embedded menstrual taboo. Regmi works with Possible, which runs hospitals in Achham and Dolakha, and is engaged in convincing one woman at a time to stop the practice. She urges the members in her group to take a united stand against the tradition, to not tell anyone when they have their periods and refuse to be sent to the shed. Community Health Workers warn young women of the dangers. 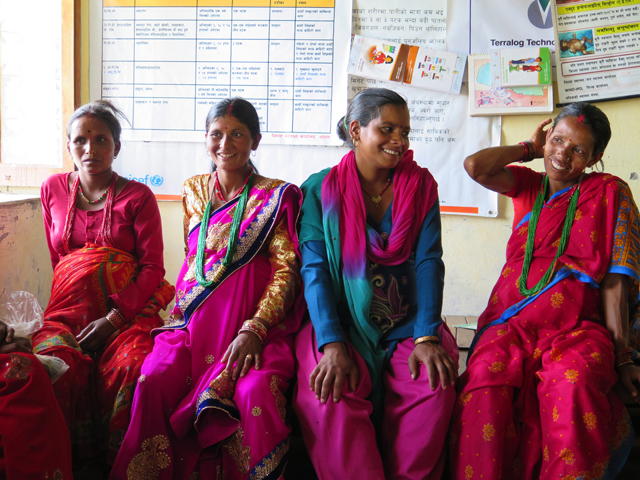 Possible employs 26 female community health workers like Regmi to integrate care between hospital and home, and together provide comprehensive healthcare to more than 400,000 patients. “It is very encouraging to know that everybody in the village knows you, to have their trust that you can attend to their medical needs,” says Regmi. One of Regmi’s patients is Chandra, an expecting mother. Chandra’s deeply-held belief indicates why Regmi’s work is so difficult. The stigma about menstruation may be severe in western Nepal, but there are varying degrees of taboos even in the capital. At a recent rally in Kathmandu against the chaupadi deaths, participants said even educated urban women had to observe certain social etiquettes during their periods. “God created me this way, I menstruate. I don’t understand why somebody else would find it unacceptable if I entered a temple or prayed to my God when I’m menstruating,” said one participant, Shikha Pant. When newly-married, Dambara Regmi didn’t tell anyone in the household when she had her periods. 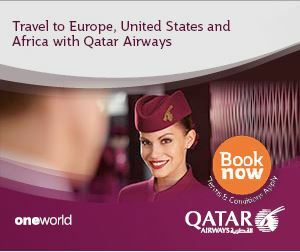 She was lucky to have the support of her husband, and they fended off criticism from the family and neighbours. Not everyone is so lucky. If equal parts of happiness and exasperation have ever lain in winding, narrow streets packed with people, shops, pubs, restaurants, hostels, travel and tour agencies, video and pool parlours and cybercafes, they've done in Thamel. 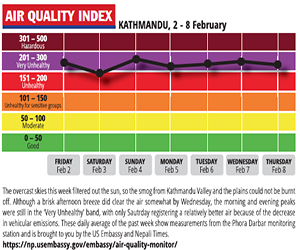 The issues we focus on in Kathmandu are different from the cares and concerns of eastern Nepal. In the face of expensive private medical services, Kathmandu Valleys government hospitals need to be better supported so they can continue providing large numbers of people the stellar services they are known for.